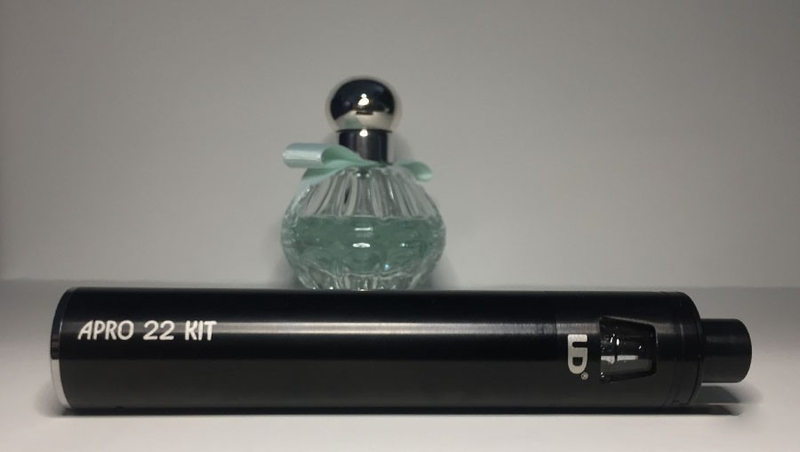 APRO 22 Kit, the picture of the subject of the pole, and the trademark of UD. Poles and two fog cores. 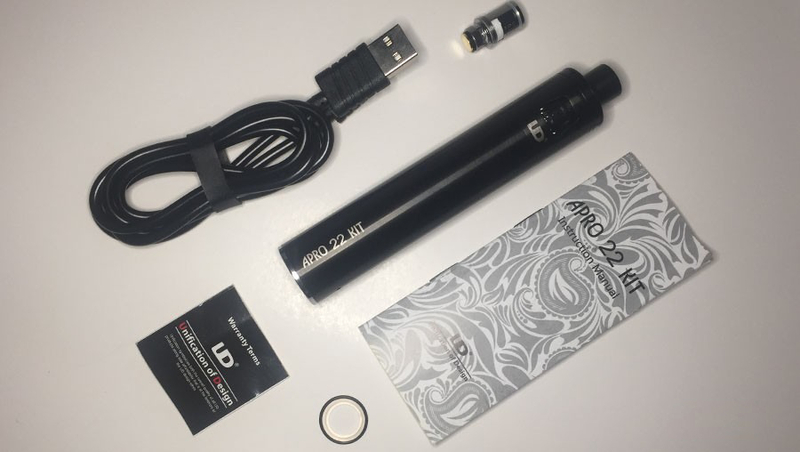 APRO 22 pole one, atomized core two, one USB charging cable, one warning card, a few spare parts, and a user manual. Atomized core heating wire material for the SS316L, the resistance of 0.2 ohms, for the power of 40-70W. 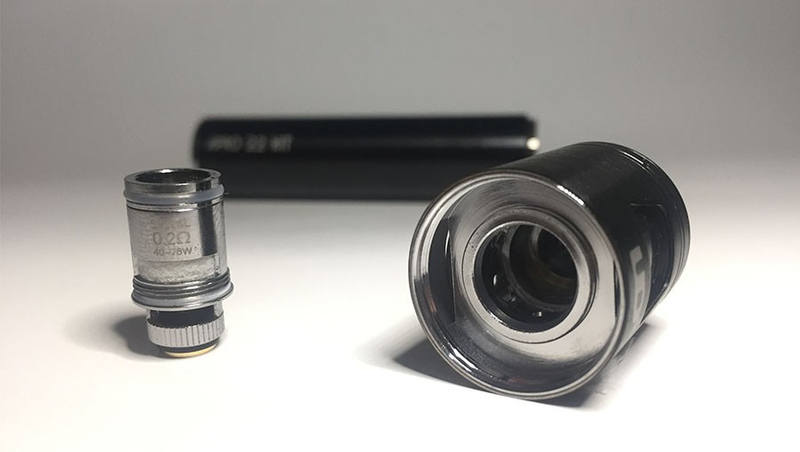 There is no thread in the connection of the atomization core, because of the plug-in design. 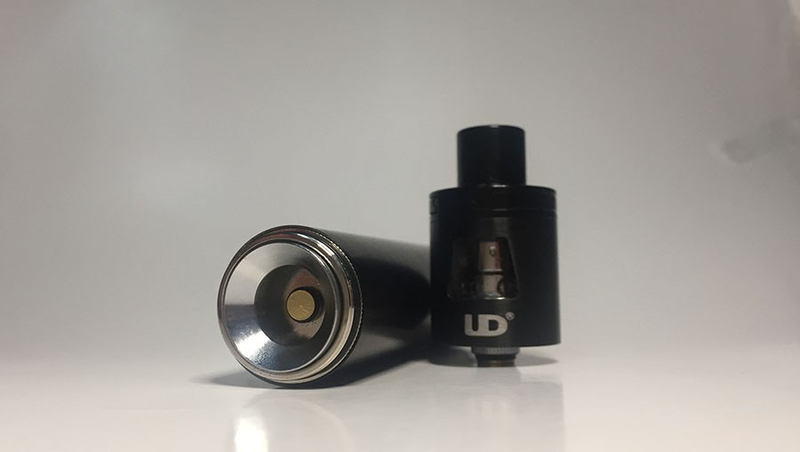 So it is more convenient to replace the atomization core. While the gap on both sides, it is a hidden air intake, and the bottom of the hollow core design with each other. The handling of the atomization core is rather simple. Proof of APRO 22 suit easy to use design ideas. 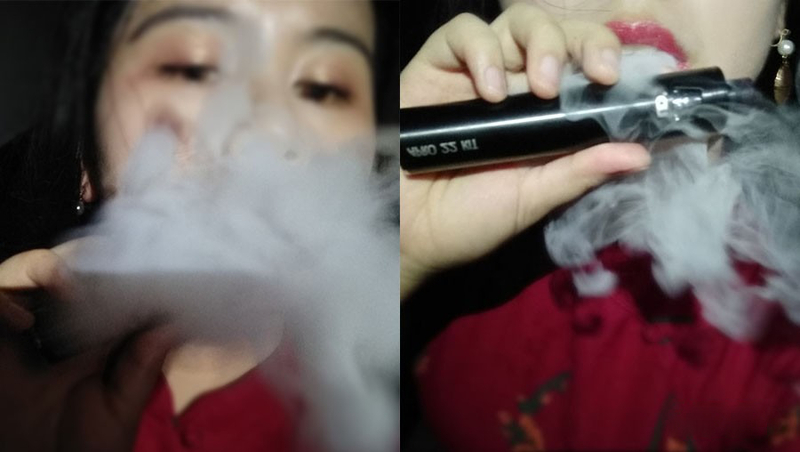 The bottom of the pole has the name APRO 22 KIT, the lower part of the atomizer is a trademark of UD, and the brand and product identification are high. 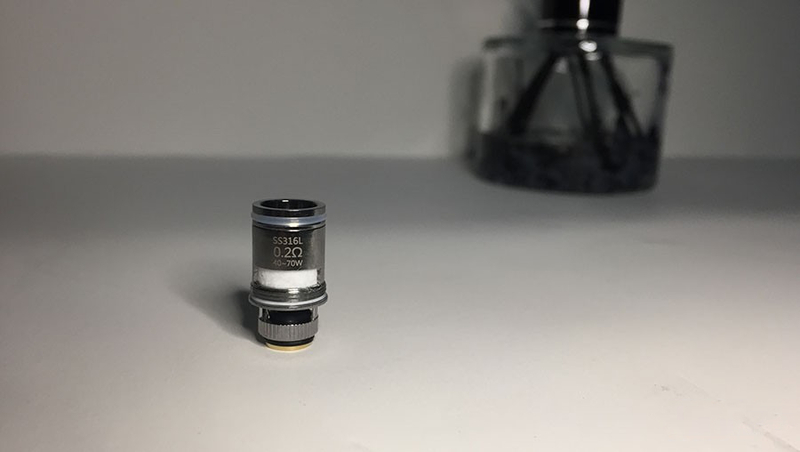 The glass on both sides of the atomizer is designed to allow the user to observe the amount of residual smoke. Top oiling structure, plus push-pull roof, actually reduce the occurrence of oil spills, easy to worry. 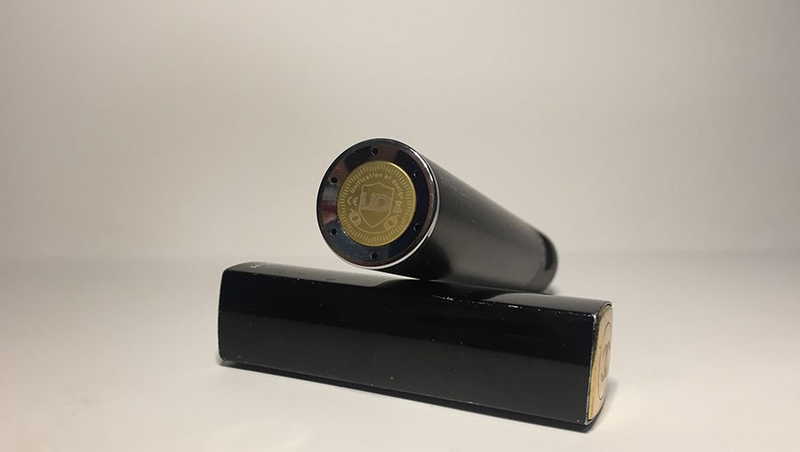 Precise identification, but also makes use more convenient. 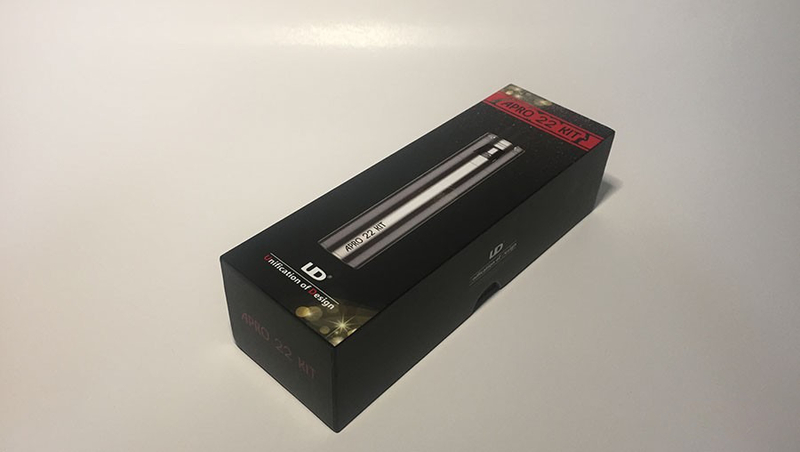 As an integrated pole with circuit protection, UD combines the brand, trademark and ignition keys, places it at the bottom of the pole, and uses a curved design to prevent accidental exposure to the surface, To further improve the overall security. 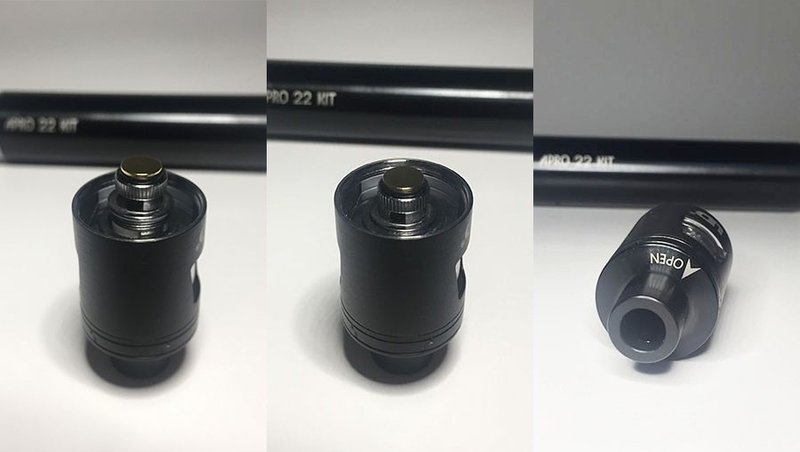 APRO 22 whole body up and down only a key to the ignition switch, and no pressure button, we can see it as a regulator pole, to operate simple, easy to carry as the central bright spot. 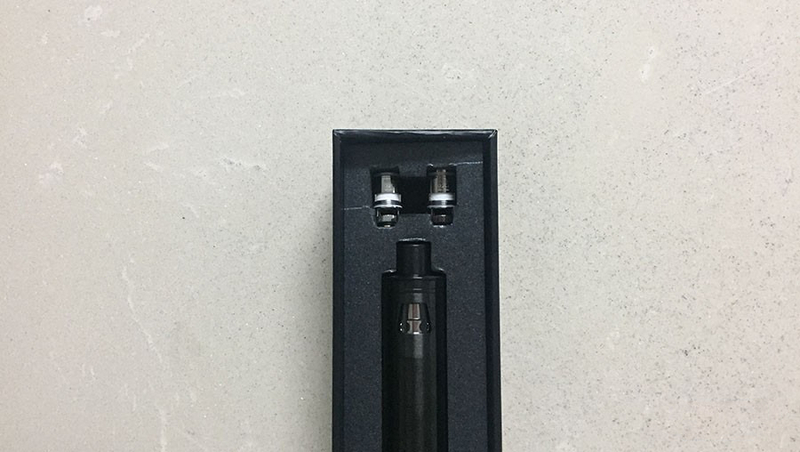 Given APRO 22 is the use of finished core, the matching atomizer produced a considerable amount of smoke, the taste of the smoke layer of the analysis is also more reduction. As an integrated pole, APRO 22 to maintain the feeling at the same time, to do a simple operation, to ensure safety, and beautiful. 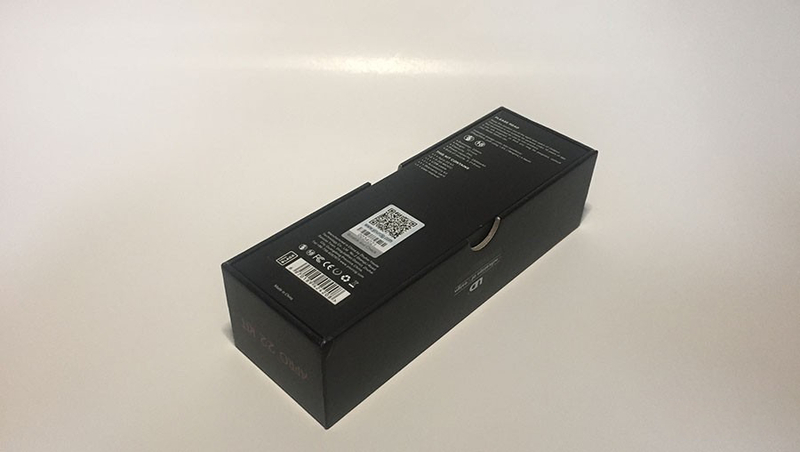 But the size is more suitable for men, and female users will feel a bit big. 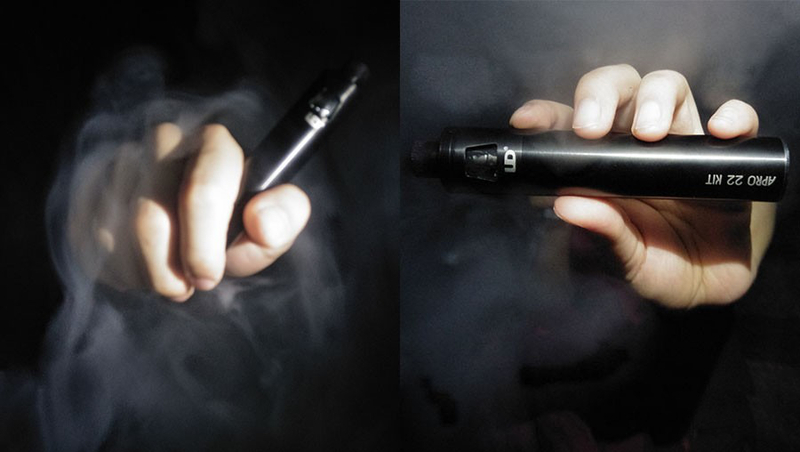 The integrated design determines that another cannot replace the atomizer. Limit the application of the pole itself, the purchase of finished product fog core also increased the use of cost. 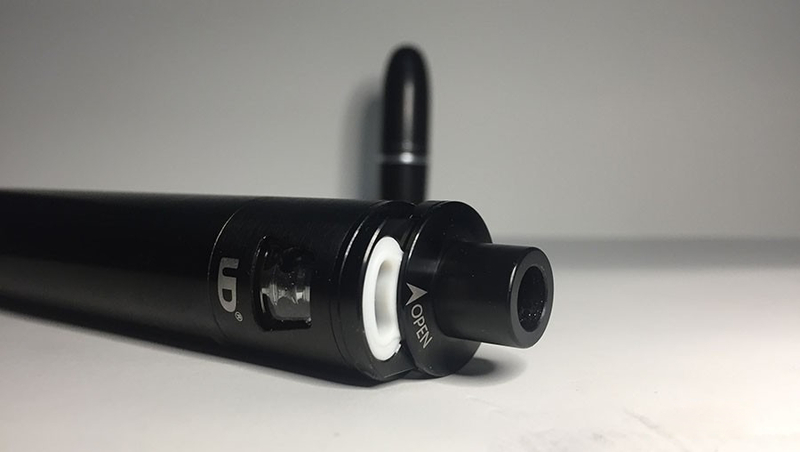 All in all, APRO 22 KIT should be a pretty good choice for a part of a simple and portable player, and a picky core player is not a cost-effective or playable option.